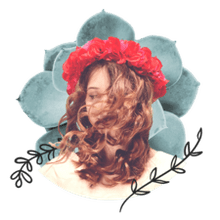 Coconut oil is, hands down, one of the most effective hair treatments for a very wide variety of hair issues and it is, without a doubt, the best oil for damaged hair. Fans of coconut oil claim it actually works better than any man-made treatments on the market. Because it's 100 percent natural, it's free of silicone, alcohols, and other chemicals that can irritate sensitive skin and dry out hair. It works incredibly well for repairing damaged hair that's overprocessed, heat-damaged, or just naturally dry. Coconut oil is also an antifungal, making it a perfect natural anti-dandruff treatment and preventative. To top it all off, coconut oil is far less expensive than commercial hair treatments, and it's widely available in grocery, drug, department, and online stores. Coconut oil works so well to recondition dry and damaged hair because of its molecular structure. Unlike other oils and commercial moisturizers that just sit on the hair, coconut oil actually penetrates the hair shaft, getting past the cuticle. This helps it repair your hair from the inside out and helps prevent further damage. Lauric acid, capric acid, and vitamin E (all present in coconut oil) help restructure hair and increase its strength by preventing protein loss, vastly improving shine. People who regularly use a coconut oil treatment report increased body, shine, and manageability with less breakage and static, and fewer tangles and split ends. Many also claim that hair sheds less and feels thicker after regular use. Set aside at least half an hour for an intense hair-pampering session. Grab a book, catch up on social media, watch a TV show—anything that helps you relax as the coconut oil treatment does its magic. 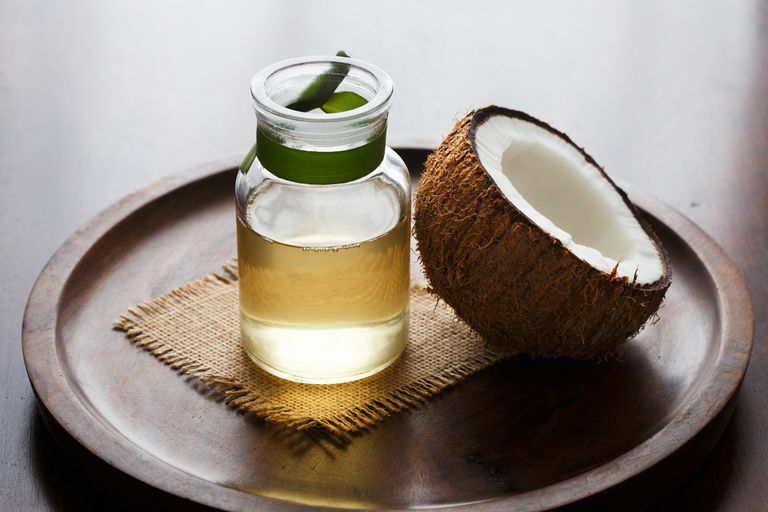 Coconut oil is in a solid state when cool, so you might need to warm the oil gently to create a liquid. It melts very easily and quickly, so just set the container of coconut oil in a pan of warm water for a few minutes. For a speedier method, you can put it the microwave for just a few seconds. A few precautions are in order, though: Remove the cap on the container first, and make sure it has no metal. Stir the coconut oil when you take it out of the oven; it will probably heat unevenly, and you don't want to burn your scalp or hands. Massage a couple of tablespoons of the coconut oil into your clean, damp hair and scalp. (If your hair is thin or gets greasy easily, you can skip the scalp so the oil doesn't weigh your hair down.) Apply the most coconut oil wherever your hair is the driest and most damaged (typically on the ends) and less where your hair is healthiest (mid-shaft and scalp area). It's best to section your hair off and apply the coconut oil in manageable sections to be sure that every hair is coated. Allow the oil to sit on your hair for 20–30 minutes after application. If your hair is very dry or porous, you can leave it on longer; some people like to use it as an overnight treatment. To increase the effectiveness of the treatment (and to prevent a mess if you're leaving it on while you sleep! ), pile your hair on top of your head if it's long, cover your head with a shower cap, and wrap it up in a hot towel fresh from the dryer or apply heat with a hairdryer for a few minutes. You will need to shampoo the oil out of your hair well after the treatment. This may take a couple wash-rinse cycles, but don't worry: Coconut oil melts at just the hint of heat, and warm water will carry the excess away. You'll have to experiment with the amount of coconut oil to use on your particular hair, and how long to allow the oil to penetrate it for best results. If the coconut oil leaves your hair feeling weighed down or greasy, try using less of it or shampooing more at the end of your treatment. You can use a very small amount of coconut oil on the ends of your hair after showering as a detangler and as a daily moisturizer for very dry hair. It works wonders for dry skin issues, too. Keep a container of coconut oil right in your shower so you can apply it to skin and hair while it's still damp, sealing in moisture and giving both a luxuriously soft feeling. To treat dandruff, the process is similar to the conditioning treatment: Massage a small amount of coconut oil into your scalp and allow it to sit for at least 10 minutes or overnight. Bonus Tip: Whip It Good! If you get frustated with digging coconut oil out of the jar with your nails or a spoon, get out your mixer. Empty a jar of coconut oil into the mixing bowl and mix with ordinary beaters until it emulsifies with air into a light, puffy cream. As long as it's not exposed to high heat, the coconut oil will retain this creamy consistency so it's easy to slather onto hair and skin. You can even add a few drops of your favorite essential oil to add to the pleasant coconut scent. The result is a rich skin and hair treatment that rivals anything you can pick up at an expensive boutique.